There debut album "A day will come" was hitting the scene like a hurricane some months ago. We were a bit sceptic if the boys from Paris can held their high level, but when we've listened to the first demos of "Open Your Eyes" we realized: this is another killer, this is insane. Now we have one of the first contenders for the "record of the year 2015" title spinning our players. Eight tracks - eight soon-to-be classics - no question. "Sounds like" is a stupid saying when it comes to LION'S LAW, as in the meantime the band is reference enough. But everyone who is into BISHOPS GREEN, OLD FIRM CASUALS, TERROR or VICTORY will love this record. 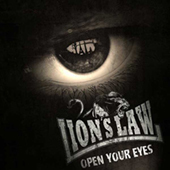 Violence in melodies - LION'S LAW 2015. It is unknown how deep in the bowels of the Earth 2008's Sub Templum resided; an exercise in the esoteric, subterranean and extreme doom like no other... but with its echoes still vibrating the cores, Moss rise once more, from the Tombs of the Blind Drugged. 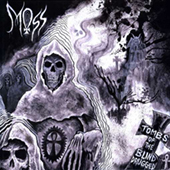 Already a cult legend, Moss' unique brand of extremity and terror now reaches new depths as monolithic riffs and gut wrenching vocals wreck and bludgeon but with an added sense for the melodic, and through the use of organ and mysterious chants atmospheres become ever more dense... three tracks alchemically distilled to a total purification of Occult Horror Doom! 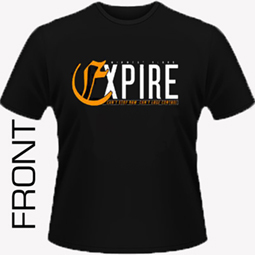 A guaranteed underground hit! Rancid's second LP, released in 1994, is disarmingly good from start to finish. 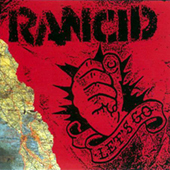 With roots set firmly in their Berkeley punk rock origins, on "Let's Go" Rancid set out with heart, soul and vehemence to reach new heights in their music. Some of the highlights are "Salvation," "Radio," and "Nihilism," but all the of the songs bristle with the unmatched signature of Tim Armstrong's intensely evocative writing style. Now available as a 2x10" with a gatefold cover.